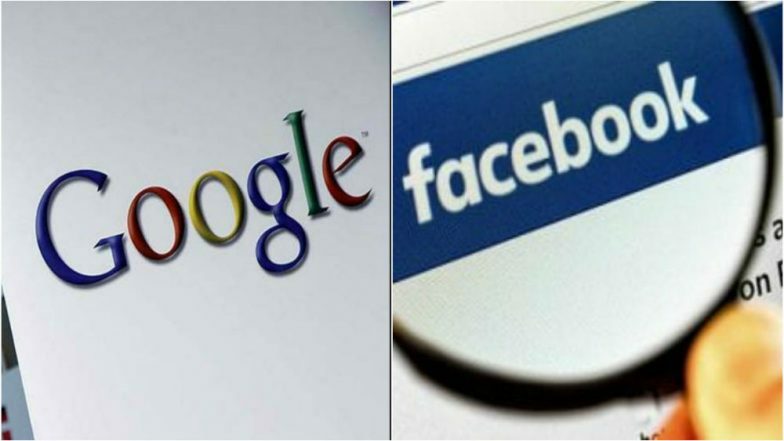 Wellington, March 18: A collective of some of New Zealand's biggest companies is set to pull ads from Facebook and Google in the wake of the March 15 Christchurch mosques shootings in which the gunman live-streamed his massacre of 50 people. Using a GoPro camera, the gunman broadcast extremely graphic footage of him shooting people at the Al Noor Mosque via Facebook Live. The livestream was available to watch on social media for hours after the attack. Christchurch Attacks: Alleged Gunman Brenton Tarrant Fires Lawyer, Says will Represent Himself in Court. At this stage, it is still unclear how extensive the pull-back will be or for how long the companies are likely to pull their digital ads. Other brands have also acted independently, The New Zealand Herald reported. Kiwibank suspended all digital advertising on March 15 shortly after the carnage took place at the Al Noor mosque and the Linwood Avenue Masjid that also left over 40 others injured. On Sunday, New Zealand Prime Minister Jacinda Ardern said that she intended to ask Facebook how the gunman was able to livestream the massacre. Facebook has on its part said that as many as 1.5 million videos of the attack were removed from its platform in the first 24 hours. This is not the first time New Zealand companies have pulled ads from these platforms. Earlier this month, telecom company Spark pulled all its advertising from YouTube over concerns about paedophilic content. Spark's move was part of an international response, which also saw Disney and Nestle pull ads from the site.